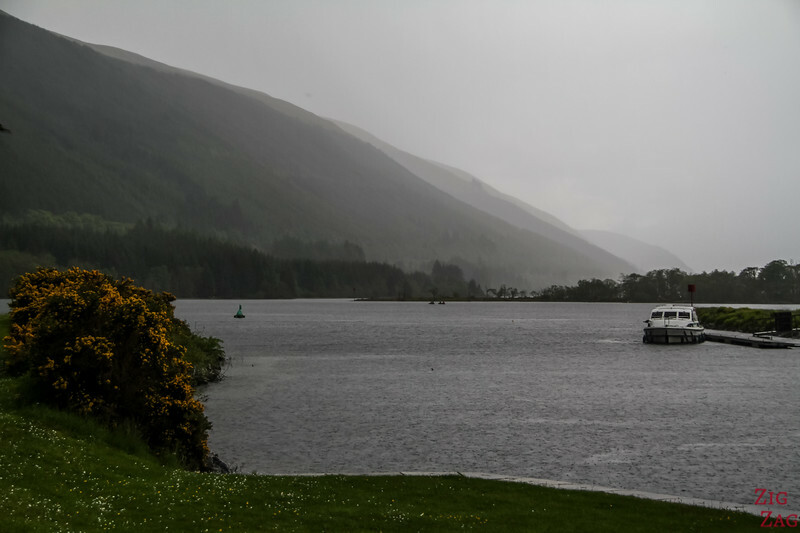 Cutting Scotland in half, the Caledonian Canal is a water way connecting the East and West coast from Loch Linnhe to Loch Ness over 97 kilometers (60 miles). 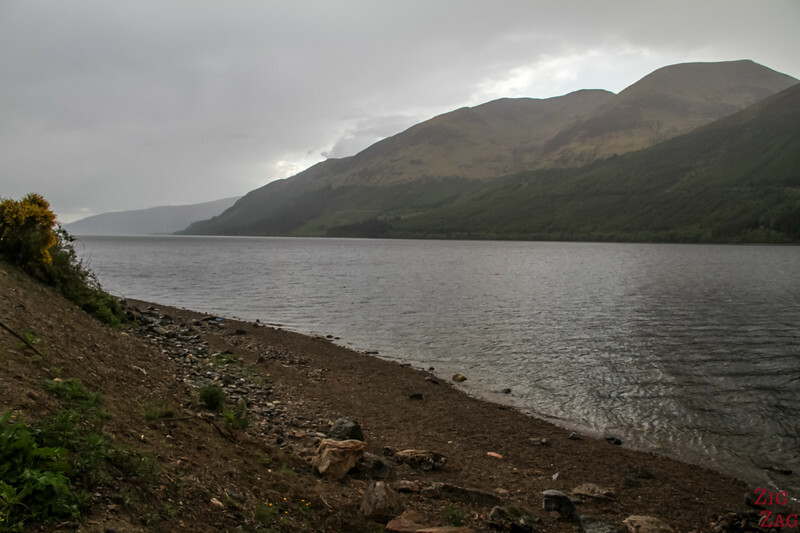 It connects a series of lochs located in the geological fault of the Great Glen. 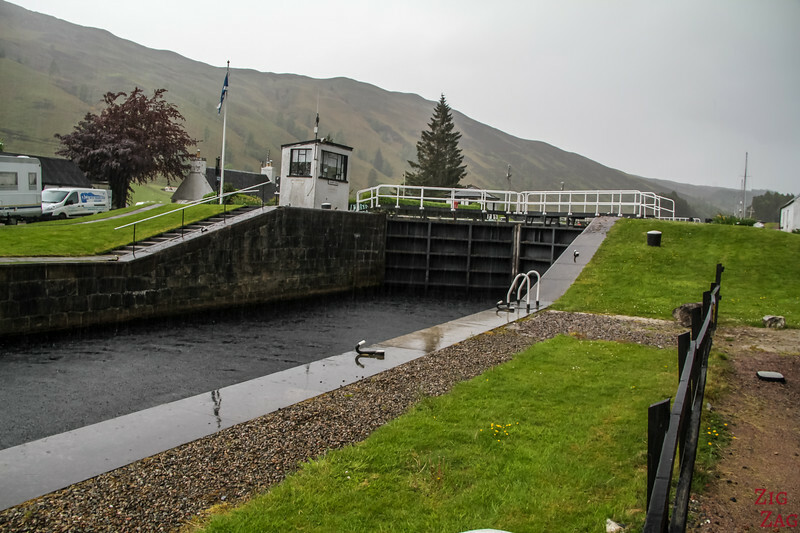 The canal can be enjoyed on a drive, on a cruise or by hiking the famous Great Glen Way. Below are a video and photos of the drive. Let's start with a short video. 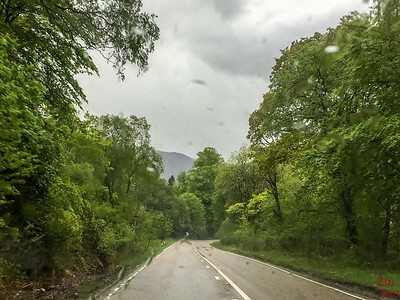 Sadly on the day I drove along the Caledonian Canal it was pouring rain (this is Scotland after all, and I have been quite lucky the rest of the time), so I have not filmed and photographed as much as I normally do. But it still can give you an idea. 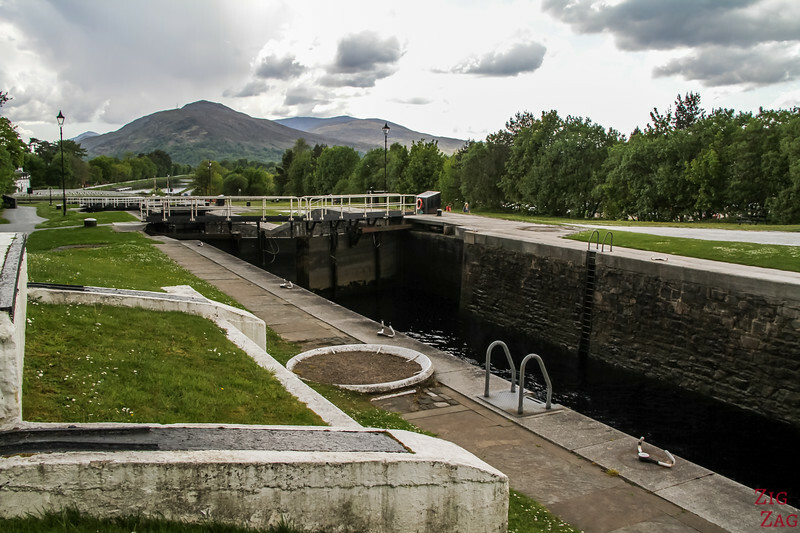 The Caledonian Canal is a 100km long waterway connecting the Scottish West and East Coasts. 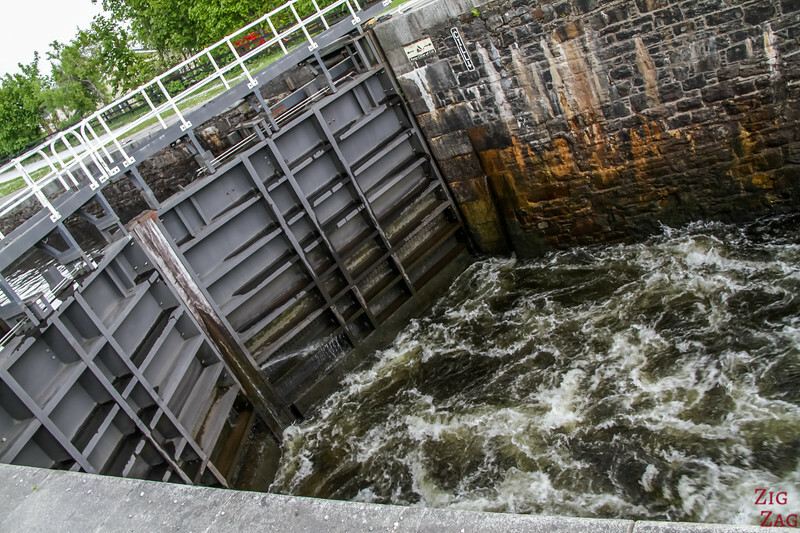 Boats have to go through 29 locks to make it all the way (including the 8 at the Neptune's staircase). 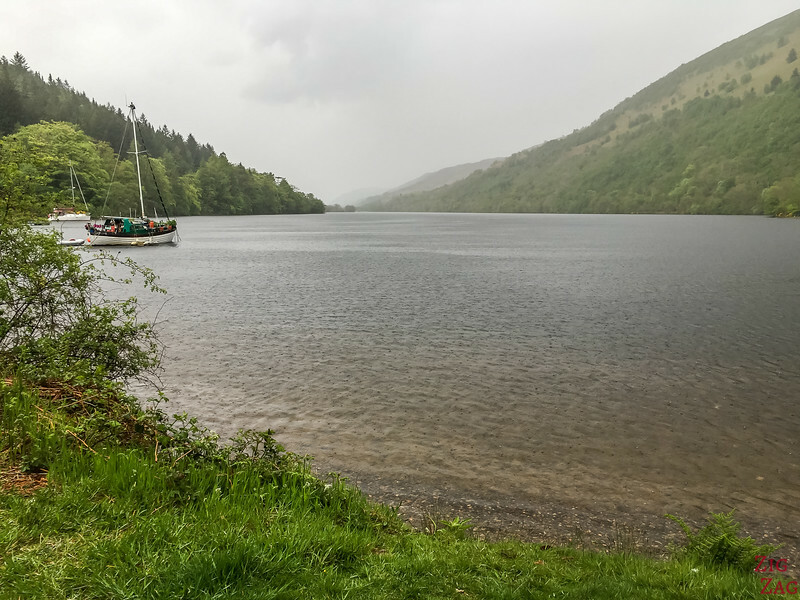 It was constructed along the Great Glen Fault by Thomas Telford in the beginning of the 19th century, building connection over one third of the path between loch Lochy, Loch Oich and Loch Ness. 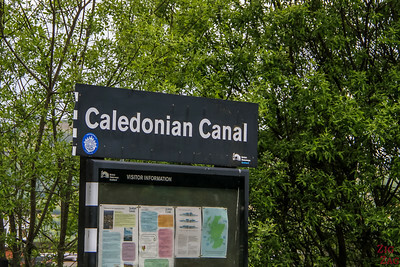 Below is the Google Map - The Caledonian Canal is the Blue road. I have not fond how to remove the other road options. 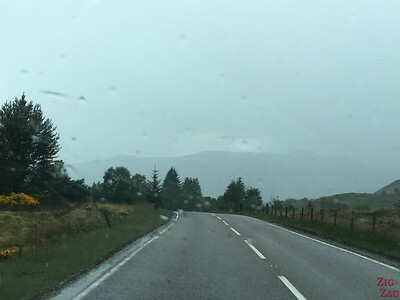 If staying on the main road A82 all the way, it will take you 1h45 without stopping. The road crosses several towns along the way. 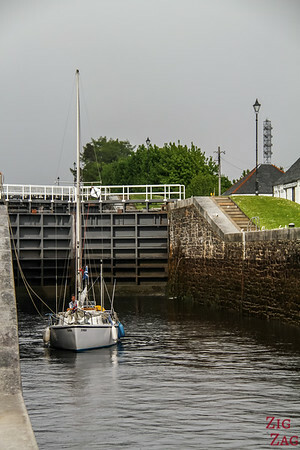 Near Fort William, Loch Linnhe connects to the Caledonian Canal through a series of 8 locks called Neptune's Staircase. You have to be very patient to cross them all as it takes 90 minutes. 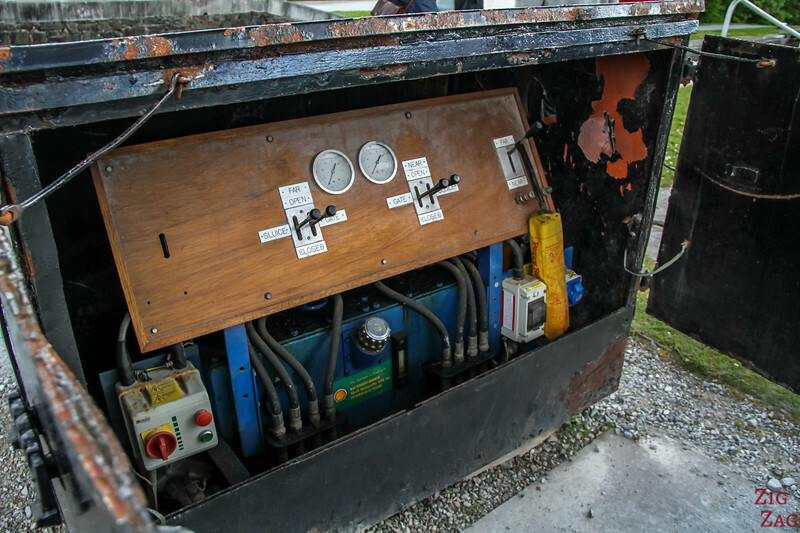 The system lifts boats 20 meters and was built between 1803 and 1822!!! 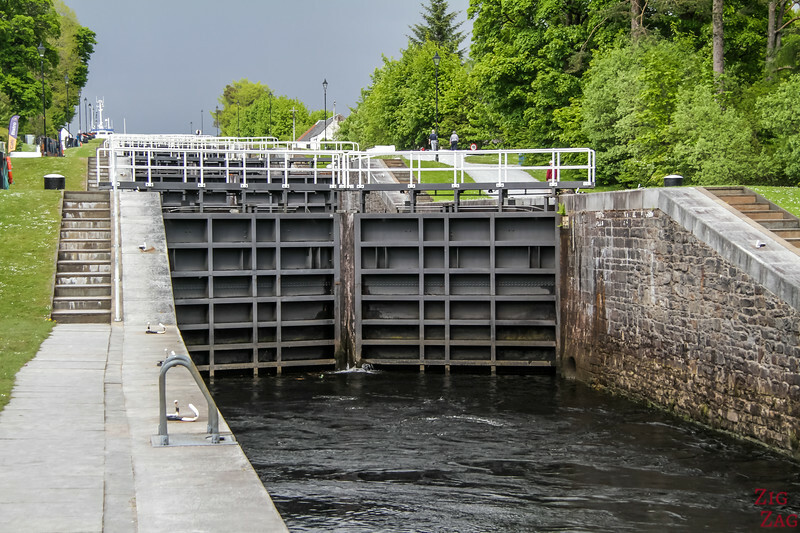 I was lucky that a boat was going through them while I was there, I was able to see inside the locks' machinery and check out the process of crossing. 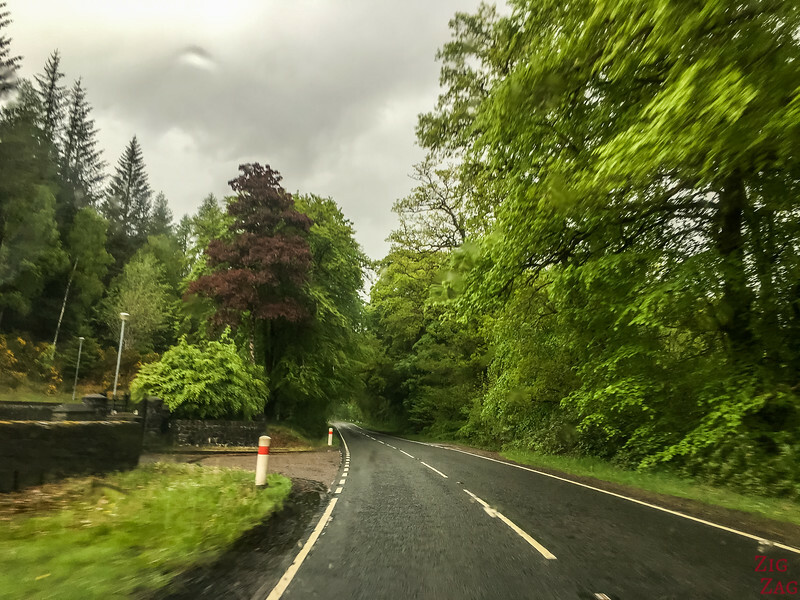 After that you can either take the small road B8004 along River Lochy or stay on the main road 182 that for a little while gets away from the canal. Because of the rain, we stayed on the main road. 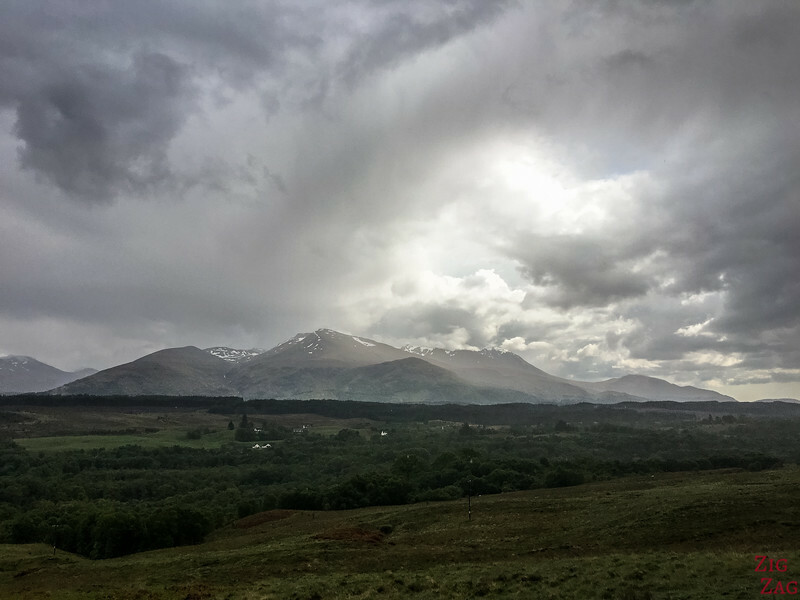 And we were rewarded with spectacular views of the mountains around Ben Nevis. 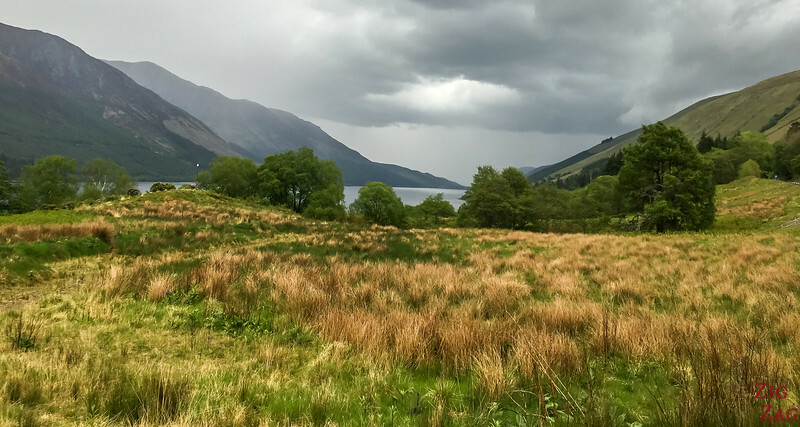 After the very long Loch Lochy where the road is on the East coast, you cross the river and drive around Loch Oich on its West side. Oich is a small loch with rich wildlife. 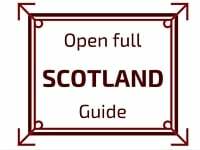 It is part of the Great Glen Fault. 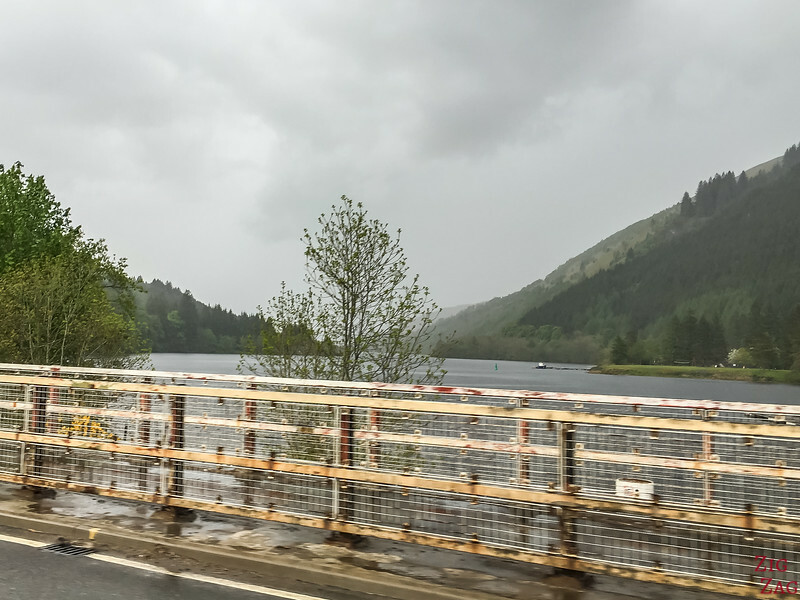 At the Northern end of Loch Oich, the road crosses the river Oich. 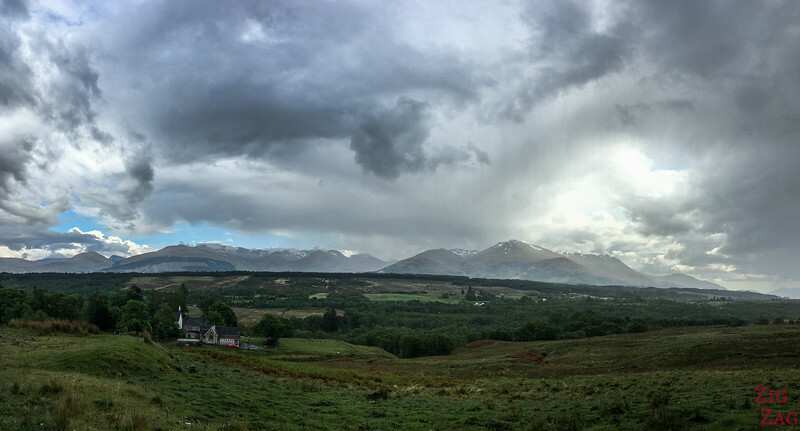 Here is a photo of the loch looking South. 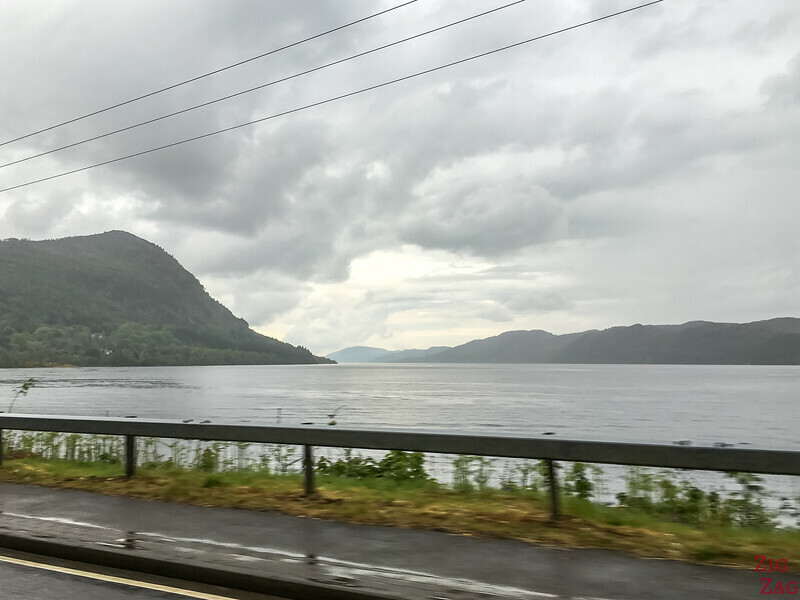 After that the road goes slightly away from River Oich before reaching the last part of the Caledonian Canal and Great Glen, the famous Loch Ness. 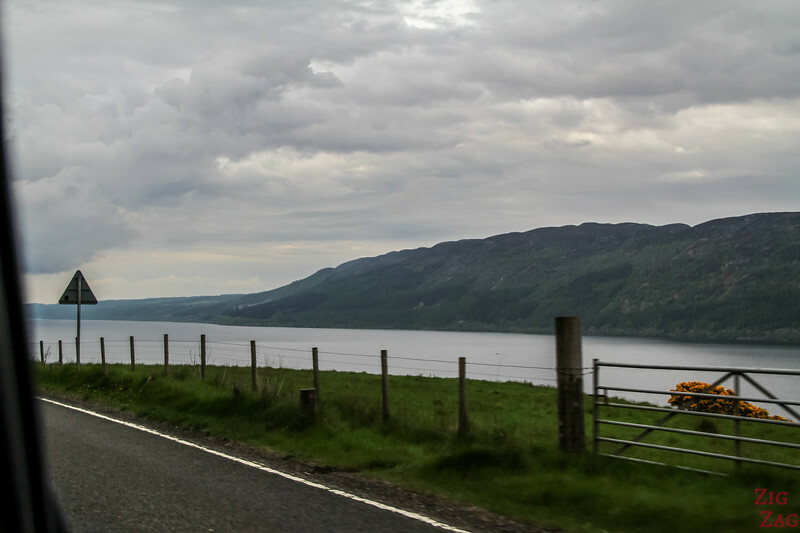 Check out more photos of Loch Ness and discover Urquhart Castle. Would you prefer to cruise on such a canal?